What Makes A Faraci Pizza? 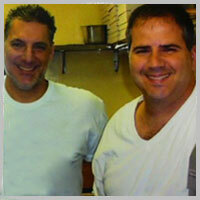 My brother Pete and I have an old school style that we put forth at our pizzeria every day. 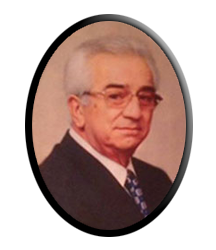 It begins with the way we cook and prepare our pizzas, as well as the way we do business.Let me begin by giving you a brief summary on how we do things here at Faraci Pizza. 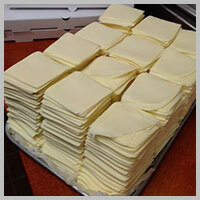 We use 100% Provel Cheese that we hand slice. This allows the cheese to melt evenly across the pizza, giving each slice of pizza just the right amount of delicious cheese. 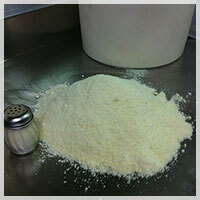 Our grated cheese is Imported Romano, which we feel enhances the spectacular flavor of our pizza. We make our pizza sauce completely from scratch. 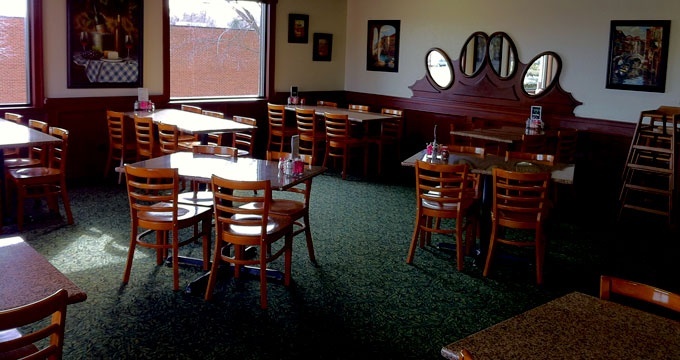 We carefully select all of the ingredients used in the five hour cooking process, from our tomato products to all the brands of spices. 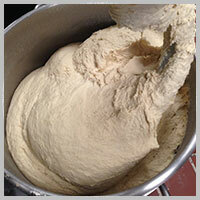 We also make our own dough, which takes three days before it can be made into a pizza. 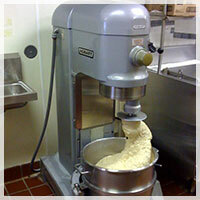 On day one, the dough is made, covered and allowed to rise several times. 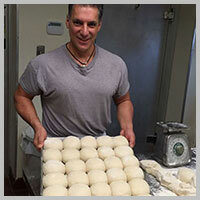 For the second day, the dough is cut into sections, hand weighed and rolled into dough balls and set for the following day. 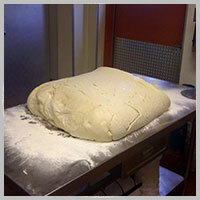 On day three, the dough is finally ready to be made into a pizza. Again, all of this is done by Pete or myself. Pete and I are very proud of the meats we offer. Lets start with our Italian Sausage and Beef. 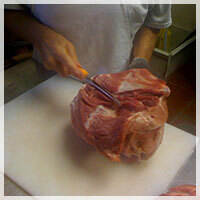 We buy the Pork still on the bone in a ‘super trim cut’ which means it has the least amount of fat possible. Our Beef is 99% lean and also comes in slabs. 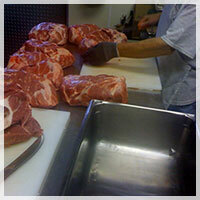 We bone, slice, and grind our meats and mix in our seasonings for our signature toppings. 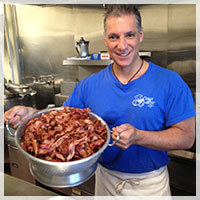 We pre-cook our hickory smoked bacon and drain any excess oils so it is crispy and not greasy. 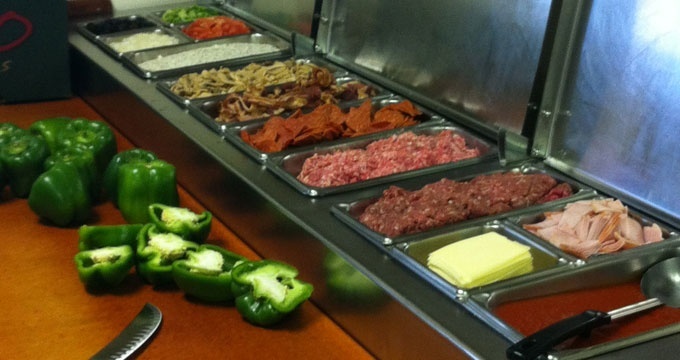 We also make our own meatballs, Italian Hamburgers, Italian Sausage links, and our unbelievable Italian Salad Dressing. 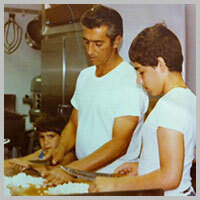 All of these recipes come from our Grandmother, NONNA, and date back to the early 1900s. 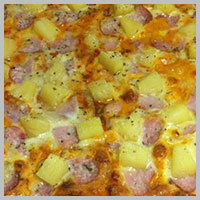 As you can see, we put a lot of pride into making our pizza and it is made with only the best ingredients. 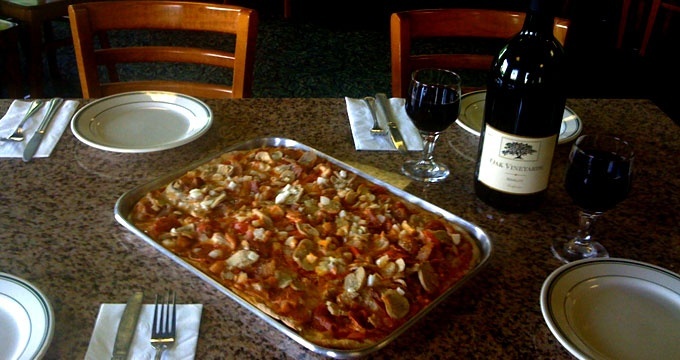 Each pizza is made to order and we make it in the best way possible. 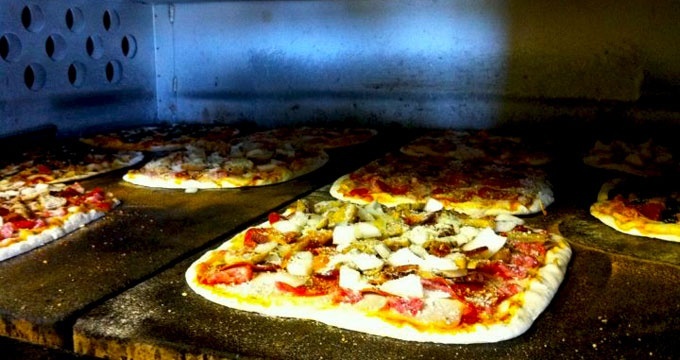 Lastly, we cook each pizza in a brick bottom oven that takes time and patients, but produces a crispier crust. 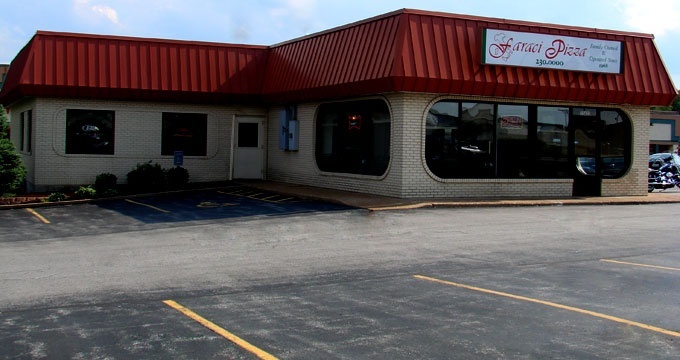 So when you come for a visit, please understand if you have to wait a little longer, it’s the extra care and preparation put into the meal that makes it a Faraci Pizza. And As Always We Appreciate Your Business!